Meet another stunning Wyndham Collection exclusive - the Amare 13 3/4-inch W x 12-inch D x 56-inch H Bathroom Wall Cabinet. The Amare wall-mounted storage cabinet delivers beautiful wood grain exteriors offset by modern brushed chrome accents. A clean, contemporary design combines with practical storage space in the Fresca Adour Mirrored Bathroom Linen Tower. This sturdy side cabinet features two generously sized, soft-closing doors and four storage areas, providing plenty of room for towels, soaps, creams and lotions. The free-standing, floor-mounted structure is elegant enough for a guest bath or bedroom and serves as a perfect match for all Fresca Adour vanities. The Acclaim Floor-standing linen tower, completely original and part of the Wyndham Collection Designer Series by Christopher Grubb, is the perfect way to increase your storage space without paying for costly built-ins. Soft-close doors and drawers ensure peace and quiet in your bathroom oasis and brushed chrome hardware completes the look and complements the entire Acclaim line. Amare 13-3/4-inch W x 56-inch H x 12-inch D Bathroom Linen Storage Cabinet in Espresso Meet another stunning Wyndham Collection exclusive - the Amare 13 3/4-inch W x 12-inch D x 56-inch H Bathroom Wall Cabinet. The Amare wall-mounted storage cabinet delivers beautiful wood grain exteriors offset by modern brushed chrome accents. 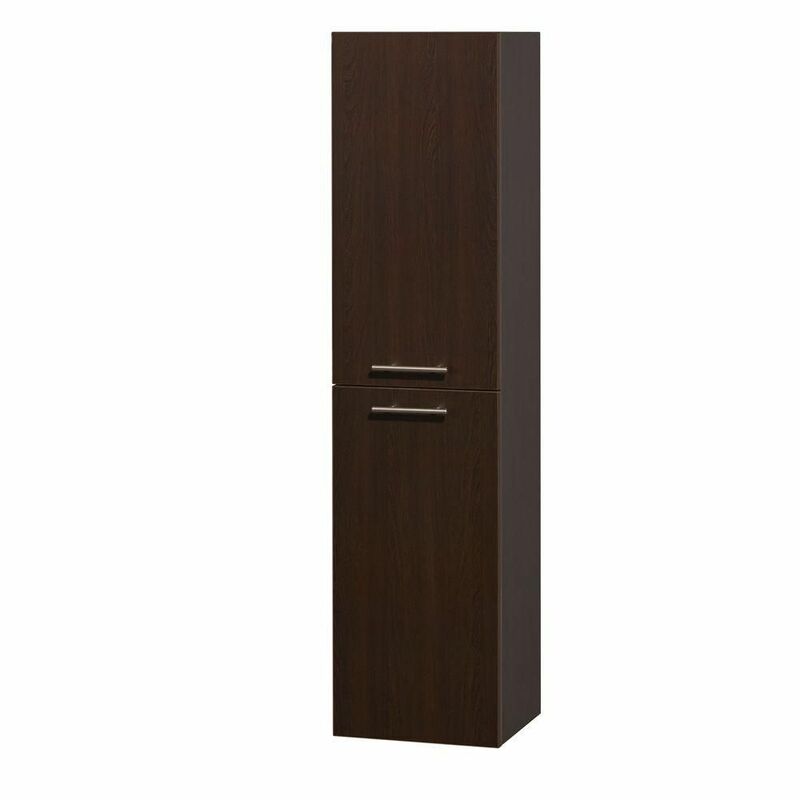 Amare 13-3/4-inch W x 56-inch H x 12-inch D Bathroom Linen Storage Cabinet in Espresso is rated 3.0 out of 5 by 1. Rated 3 out of 5 by GT from Good Quality Wished the doors and harrdware matched the Shefield collection.